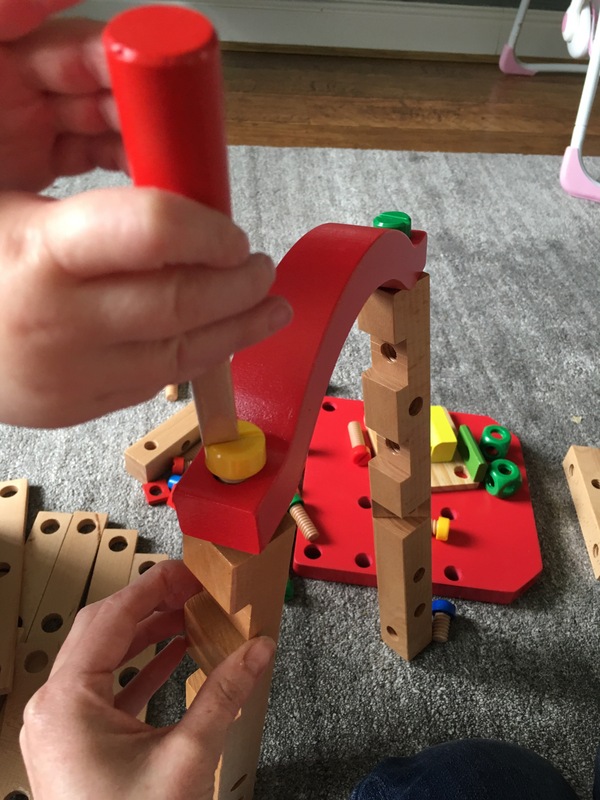 This construction kit for budding, pre-school engineers is absolutely brilliant. 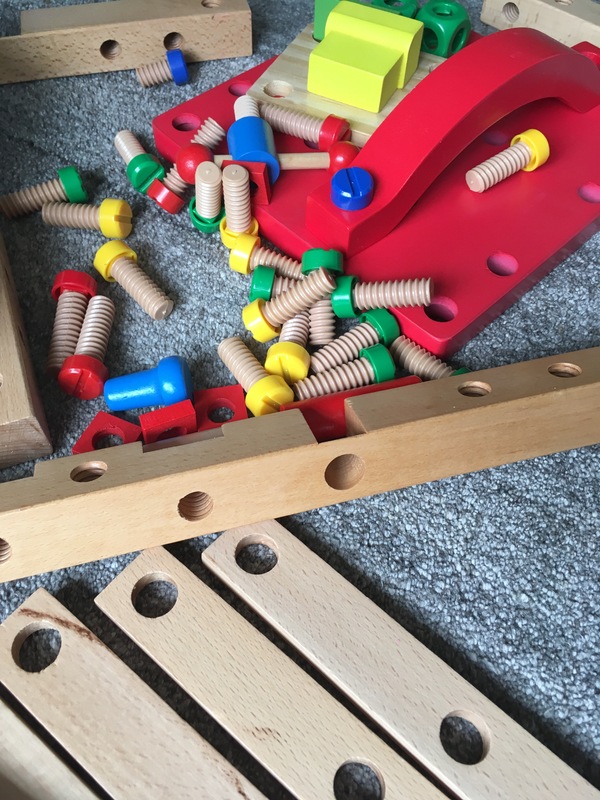 It contains screws, bolts, pieces of wood (with pre-cut holes) a spanner, hammer and screwdriver. Everything a child needs to make their very own chair. Or use their imagination and make whatever sparks their interest. There’s a purpose! So many construction/craft activities are open ended. And whilst this develops imagination, for some children a lack of instruction/plan can be a stumbling block. The purpose of this kit is brilliant ‘to build a chair’. And not just any old chair, one that is strong enough to be their very own chair to sit on. This gives ownership to the task and a great amount of motivation. 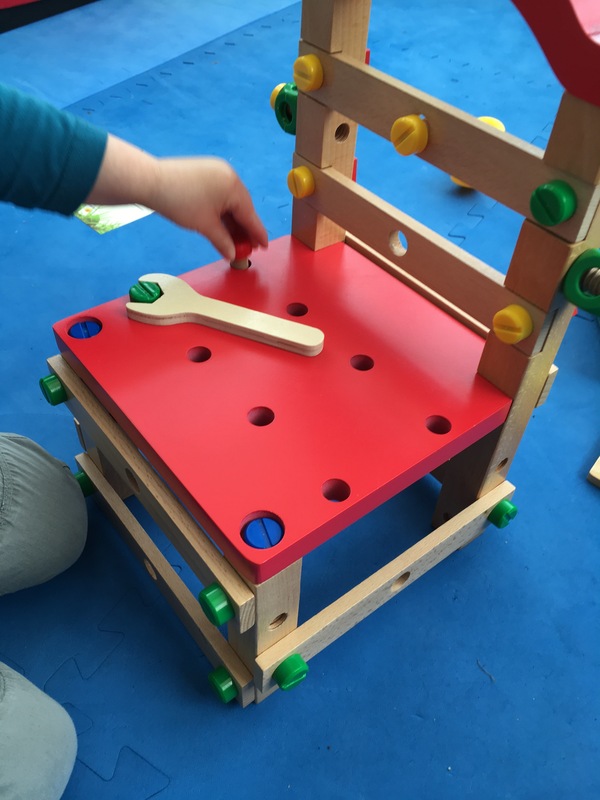 The task of constructing the chair develops fine motor skills, hand eye coordination and problem solving skills. The kit is of a very high quality.